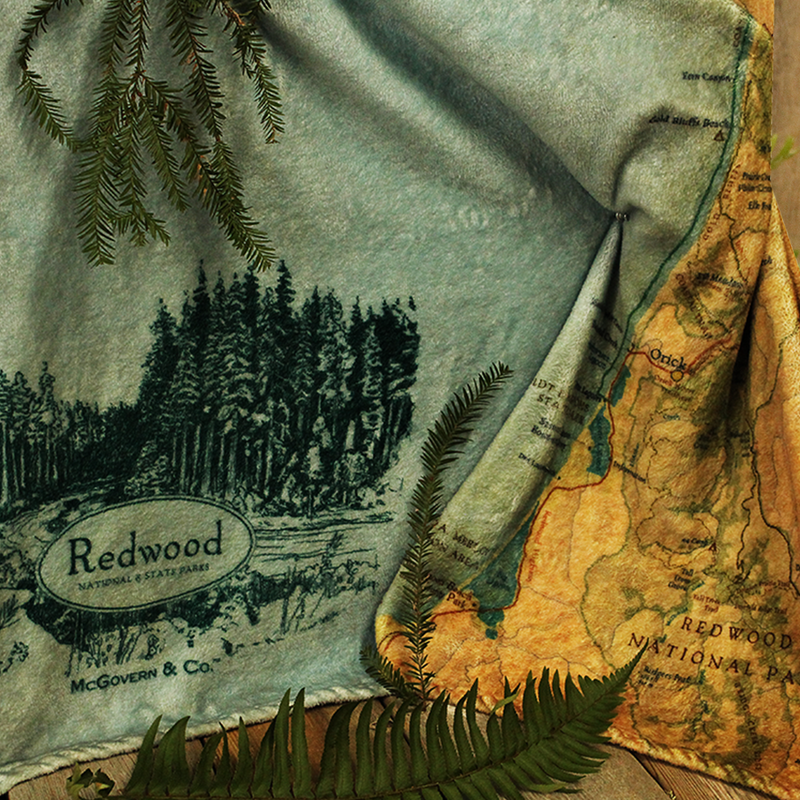 The Redwood National and State Parks Blanket/map. This is a large, 50"x60" very soft fleece blanket, perfect for a nice cool evening around the campfire, or a movie in on the couch. It has a map of the trails and roads of Redwood National and State Parks on it and is sure to please your Redwood loving friends or family!